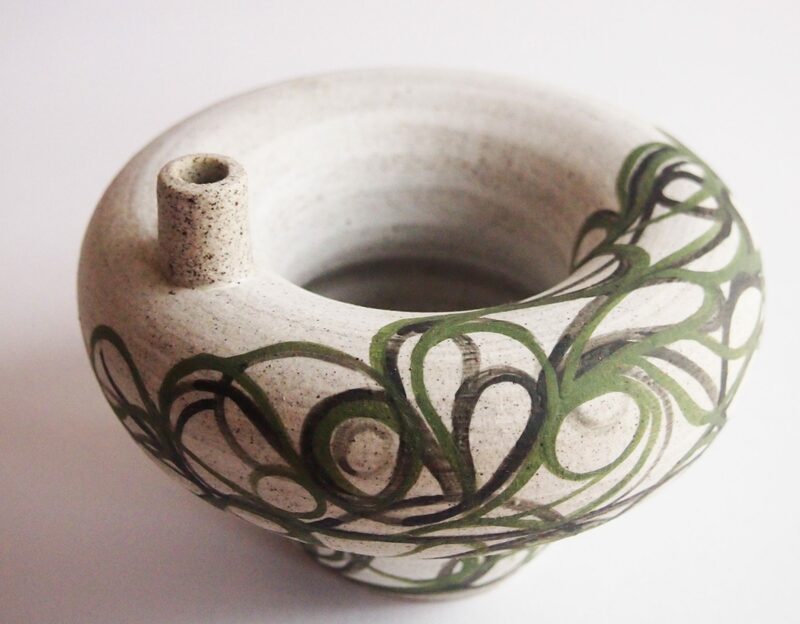 British born, Australian studio potter Philippa A Taylor, has her own distinctive approach to clay. She creates wheel thrown vessels in both high fired porcelain and stoneware, decorating surfaces using inlay (Mishima) and brush work with porcelain slip. With a passion for the British ceramic tradition, Scandinavian designs and Japanese decorating techniques, her work is both functional and sculptural. Inspired by a passion for ancient pottery, modernist forms, femininity and flowers. Her ceramic vessels hold, nurture and seek to converse with the flowers they hold. Philippa works from her environmentally sustainable suburban home studio, by the Bay in Melbourne. Having graduated from Monash University in 1997 with a B.A in Craft with honours and a Post Grad in Education from The University Of Melbourne. She exhibits work frequently in Art Awards and recently was a finalist in the Clunes Ceramic Award and Manningham Ceramics Award in 2017. Earlier in her career, her work was acquired by Dame Elizabeth Murdoch.